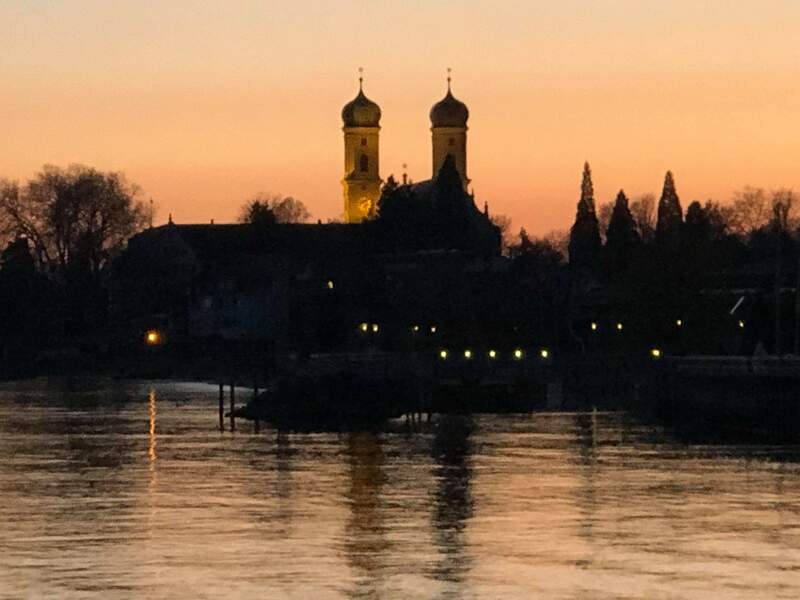 We had an incredibly wide-ranging dialogue at Zeppelin University last week by the stunningly beautiful Lake Constance. The University is one of Europe’s only pure Liberal Arts colleges, and being small its quite nimble. 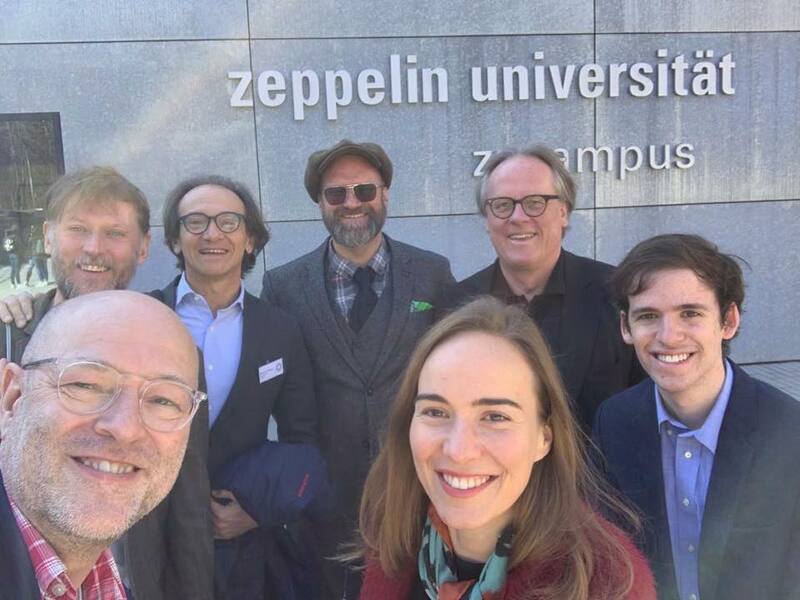 Prof Josef Wieland and Prof Lennart Brand of the Leadership Excellence Institute Zeppelin (LEIZ) invited a number of future thinkers together in order to explore the subject of the Exponential Tech and the Liberal Arts. They intend to use the discussions to help launch a new program on digital ethics and futurology. There was an interesting clash of world views in the group, although the discussions happened in a very (refreshingly) friendly and respectful manner. A Stanford AI researcher believed that the AI community had shifted in recent years to a more dystopian stance: humans are not really good stewards of the world and need replacing. In fact, the ‘apotheosis of humanity is to find its successor’. And if our replacement decides to eliminate humans, it’s a ‘price worth paying’. It was really Terminator “Skynet” kind of stuff and many of us couldn’t believe what we were hearing! This messages stood in stark contrast to my own. Yes, human beings are doing some pretty destructive things. However, I believe the apotheosis of humanity to to discover who we truly are. In fact, the real opportunity of runaway technological advances and all of the crises we are currently facing is potentially that it forces us to raise our game. I am convinced that the Liberal Arts should play a role in discussions of the future, including futurism and future studies. Its quite popular to write off liberal arts and the humanities in favour of the STEM subjects. Tech investor Marc Andreessen famously said that English majors will just “end up working in a shoe store.” In fact I hear this all the time, and its just become accepted wisdom. When a famous physicist said it the other day on TV I remember everyone just nodding their heads. However, I just don’t concur with this. We need the liberal arts to ask the big questions: do we imply a given technology and if so should we monitor and regulate it? And then we need the liberal arts to keep us human. Our role in the age of robots is not to mimic and compete with robots, its to become more human! 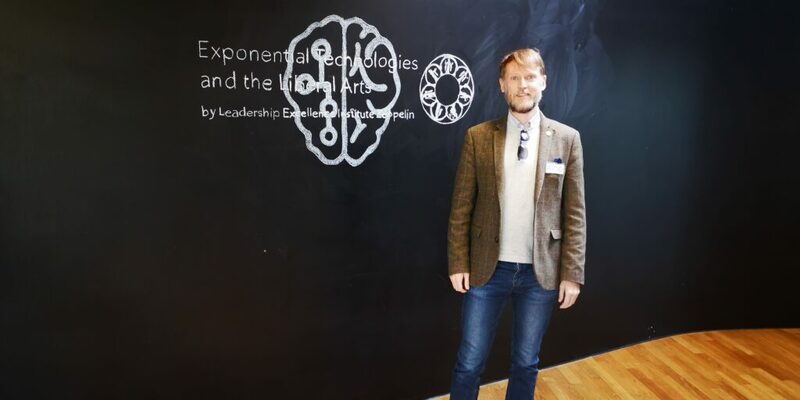 All of the skills of the future suggest this: creativity, EQ etc. But it’s much deeper than that. One of my favourite movies is the Dead Poets’ Society. Our discussions also reminded me of the divide between the US and Europe in terms of world views. Many in the US are focused on a race for power with China, particularly in areas like AI. In so many international forums in the last few months I’ve heard North Americans say that Europe is asleep at the wheel and in danger of just becoming a museum, if it’s not already there. It has had good capability in terms of creating technological breakthroughs but it can’t commercialise them and it over-regulates. When I put on my geopolitical strategy hat on, its quite easy to think along those lines. If we are still living in a Hobbesian world, then one can think that the future is America’s and China’s. But I still have this sense of a more human and collaborative post industrial society emerging across the world – one that is ultimately borderless. And in that sense, Europe and the liberal arts has so much to offer.